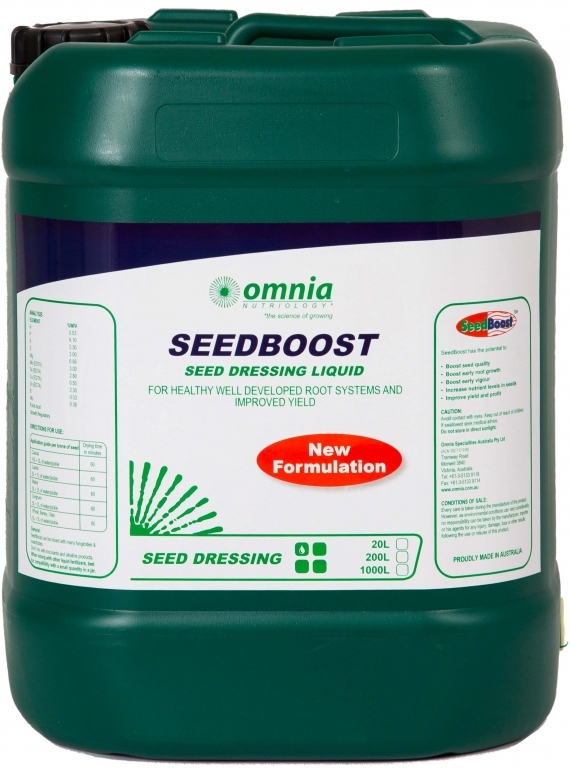 SeedBoost is a carefully formulated liquid seed dressing to boost seed quality by increasing nutrient levels in seeds. The improved nutrient levels in seeds have a significant effect on crop yield. The larger root biomass increases the survival rate of seeds enabling the crop to uptake nutrients in the critical early stages.